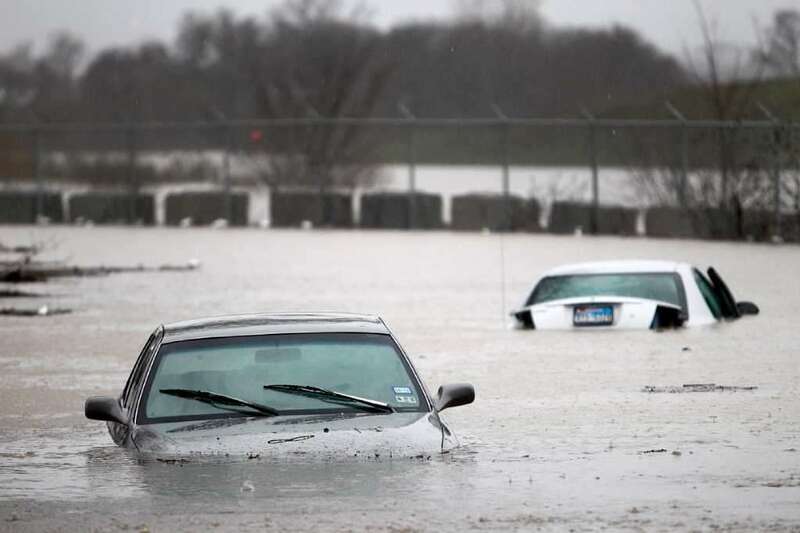 Maybe a sinking car scenario is far from you, but you should know these things because you don’t know when something like this occurs. It’s strange and you don’t want to think about it, but you better be informed and ready to act in a situation like this. This is for your good. To be able to survive an extreme situation, like a sinking car, you better be equipped with knowledge in advance. Believe me, when crunch time comes you might be on the verge to act fast. That’s when the panic starts. A mess will be going through your mind, and you won’t think of the things you need to do right now. That’s because you don’t know what to do. With these helpful tricks and step-by-step instructions, you are getting ready for the worst things possible. These instructions come from professional rescuers on how to behave if you are in a situation of a rapidly sinking car. As soon as the car establishes the first contact with the water, you need to get yourself together and unfasten your seatbelt. 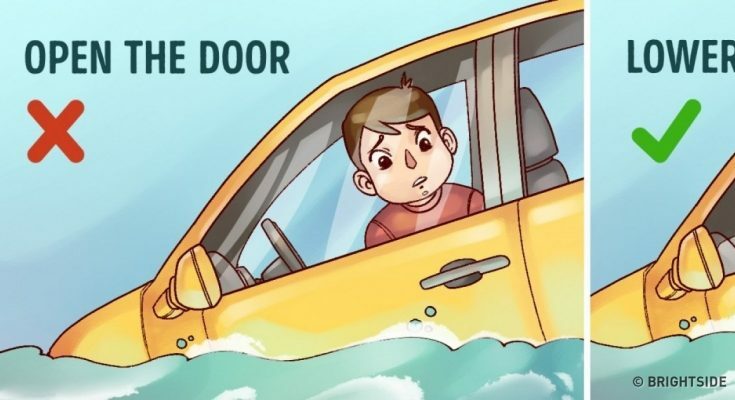 Vacate the vehicle through the nearest window before the vehicle sinks completely. According to the rescuers, you will have less than a minute to complete both steps. Don’t try to open the door because you will not succeed. The window is your best option. Open it up, and you will have your escape route. This is an optional step. You know how everything turns upside down when you are in a hurry. So, if the window doesn’t want to open up. BREAK IT. Use the force you have in your elbow or something in the car, and break the window. I’m not talking about the windshield. It’s made by extra-strong, crash-resistant safety glass. Right after you complete the first two, or the optional one, it’s time to get your kids out. Forget about yourself; the kids need help. Shove them through the window fast and leave the car yourself. If it’s too late and you can’t get out of the window, wait until the car fills up with water. Open up the door. This is the hardest escape route because you should hold your breath until the pressure from the water equals from outside and inside. *Note: The door won’t open easily. Use some force to open it up. Follow the air bubbles to find your way out. That’s in case you get disoriented in water. Now you are ready. Don’t let any situation take your mind out of the survival mode. Don’t forget to let your friends know about this. It’s useful. Step #3: The head rests in every car are detachable to use the metal rods to break the window in case of emergency. Don’t use your elbow! Nice one, thank you! Do you have more?